Anyone who watches the markets knows how well gold has done in the past few years. An investment in gold has done much better than equities or real estate in the last couple years. In all reality, most experts would agree that gold has a lot of room to grow in the future. While no investment is guaranteed, you should feel very safe by investing in gold given the current economic and political landscapes. 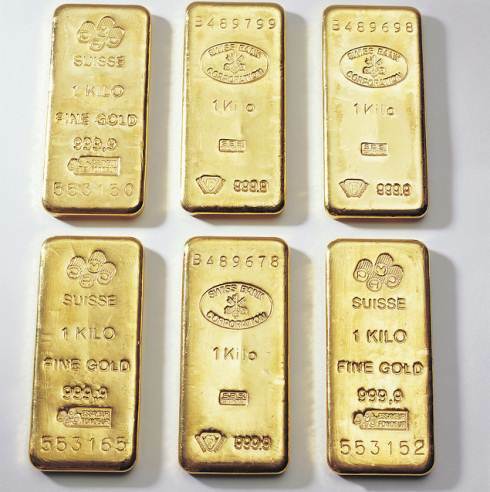 Here are four reasons why you should invest in gold in 2013. Most people are realistic when it comes to our government. Our government leaders from both sides of the aisle have created policies that have brought on economic problems. With the value of the dollar declining, gold is going to have another great year. As our government fails to fix the problems, inflation will start becoming more prevalent, and gold is a great hedge against inflation. When you factor inflation into the mix, equities and real estate have performed poorly in the past decade. It appears that housing is going to be stagnant for at least a few more years. Equities have had a nice run, but valuations are now rich and it appears the market will be heading sideways or down for the foreseeable future. Gold has provided investors with a solid and safe return in the past few years and 2013 looks great for gold. Gold is a commodity, and with developing economies growing at a fast pace, gold is necessary. Gold is used in the production of electronics and other goods that people use every day. With the countries of India and China growing at a rapid rate, it has never been a better time to invest in gold. Not only is the United States government ignoring the problems, governments around the world are not helping either. All over Europe, Asia and the Middle Easy, governments are printing money in order to avoid recessions. This has a huge effect on currency and the value of currencies. Gold should continue to be a great investment as long as governments around the world are not fixing the problem. Gold has been a great investment in the past five years. There is no reason why gold will not continue to be a great way to make money. For the foreseeable future, it appears that there will be sufficient problems around the world to merit investing in gold. While there is no guarantee, anyone who invests in gold should do very well over the next decade.